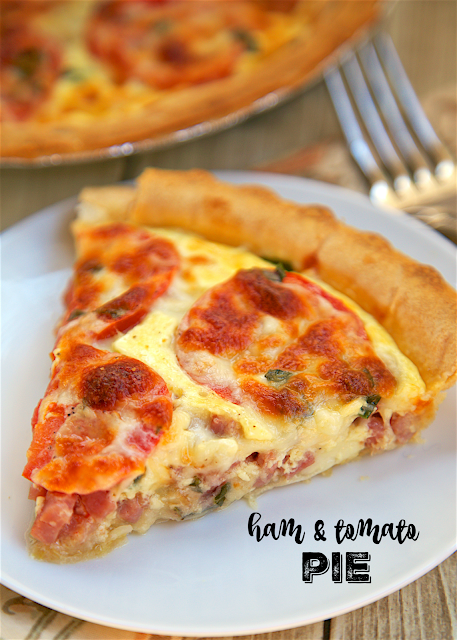 Ham and Tomato Pie - Spring and Summer on a plate! 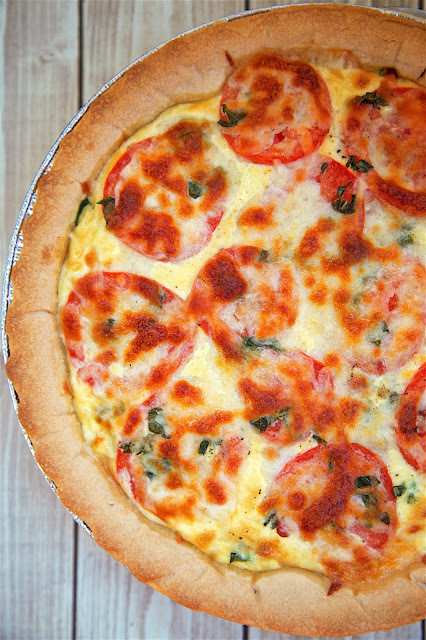 Ham, green onions, fresh basil, dijon, egg, half-and-half, mozzarella and fresh ripe tomatoes. There is never any left! Everyone asks for the recipe. SO simple and SOOO delicious!! 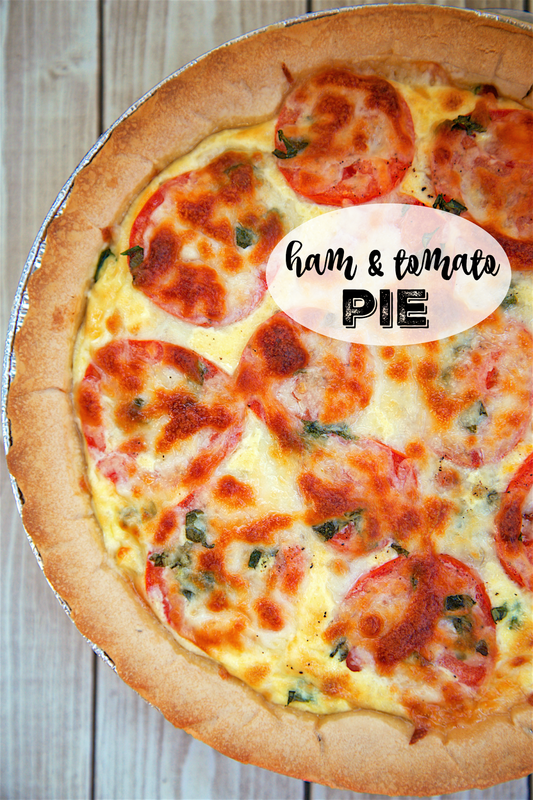 This Ham and Tomato Pie tastes like Spring! It is packed with fresh basil and ripe tomatoes. I used some leftover Easter ham in this dish. It worked great! The key to this pie is to sauté the ham before adding to the pie crust. That will ensure that all the moisture is cooked out of the ham and the pie won't be watery. Also, make sure to use a regular frozen pie shell and not a deep dish pie shell. We both loved this Ham and Tomato Pie! It was quick and easy to make and it tasted great! Just serve this with a side salad and you have a complete meal. This is great for brunch, lunch or dinner! We've eaten this a few times and it always a hit. SO simple and SOOO delicious! In a large non-stick skillet over medium heat, cook ham and green onions until ham is brown and liquid has evaporated, about 5 minutes. Brush bottom of pie shell evenly with dijon mustard; sprinkle with 1/2 cup mozzarella cheese. Spoon ham mixture evenly over cheese, and top with single layer of sliced tomatoes. You may have a few slices of tomato leftover. Whisk together egg and half-and-half until blended; pour over tomatoes. Sprinkle evenly with basil, pepper, and remaining 1/2 cup cheese. Bake for 20 to 25 minutes or until lightly browned and set. Cool on a wire rack 20 minutes before cutting into wedges. Wonderful - was out of mozzarella cheese so I used cheddar. and a deep dish pie shell.